Ivy gourd is Tindli. This can be done in 7 mins and tastes good.Best combination for rice with sambar. Heat oil in a pan,fry red chillies,Mustard seeds,cumin seeds, curry leaves - a sprig,onion -chopped and chopped Coriander leaves-few. Saute for a min. Add Ivy gourd pieces, turmeric powder, salt and chilli powder. Saute for 2 mins. Add coconut paste and 1/2 cup water.Saute tilloil separates. 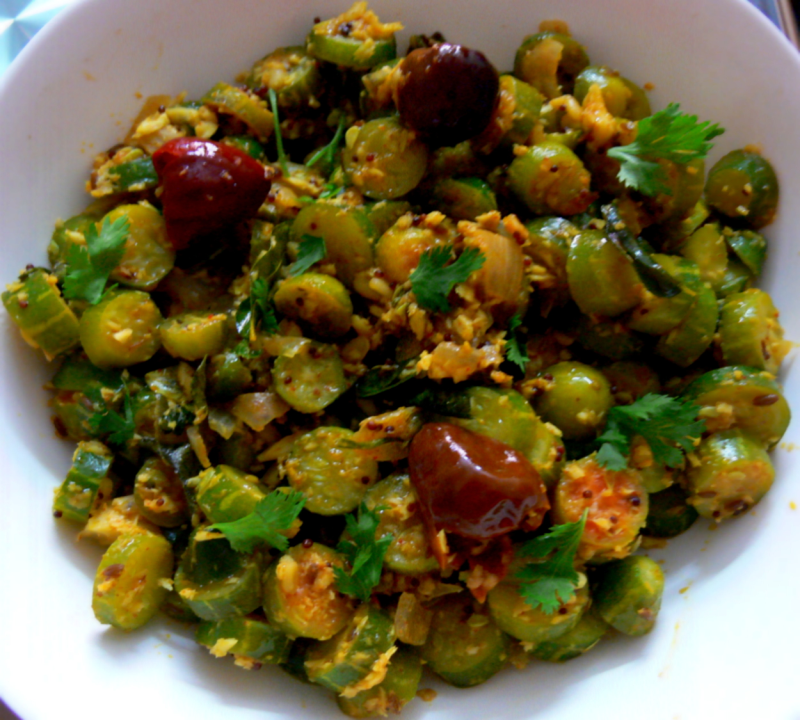 Garnish with grated coconut and chopped coriander leaves. Ivy gourd/turai is called ridge gourd in English. This is a tasty recipe. I omit the coconut and water and add some coconut cream instead. i love thondli.i make this as rice and i put everest sabji masala in it.tasty it is for phulka.i dont use coconut for this.yummy tondli.not tried with scraped coconut and coconut paste.surely will try this.